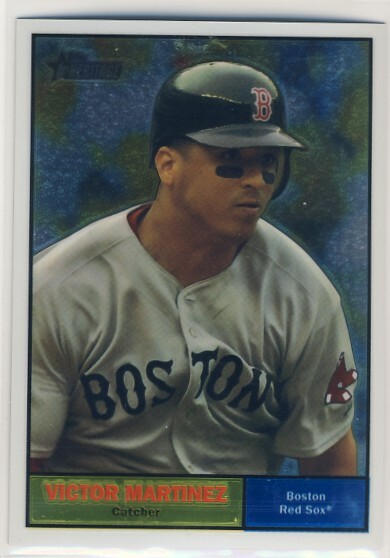 I have to admit that when Boston got Victor Martinez from the Indians in a deal just before the 2009 trading deadline I thought the switch-hitting Venezuelan would be a Red Sox star for years to come. That didn’t happen. He got off to a great start in Beantown, hitting .336 and driving in 41 runs in what amounted to a third of a season’s worth of games. That performance convinced Theo Epstein to exercise Victor’s contract option for a very affordable $7.1 million which I took as a signal that Boston was also not ready to make a longer term commitment to Martinez. The book on Victor was that he was not good defensively behind the plate or at first base. Perhaps Epstein was waiting to see if Boston’s bullpen coach Gary Tuck, who is also one of the game’s most gifted catching instructors, could improve Martinez’s receiving skills before pursuing a long term deal. Boston already had a high-paid, good-hitting DH with defensive liabilities in David Ortiz, so it made sense that they were not going to spend millions on another one. Martinez got off to a slow start at the plate during his second season in Boston and was just beginning to get his swing in a groove when a foul tip off the bat of San Francisco’s Pablo Sandoval broke his left thumb in a June 28, 2010 inter-league contest. He missed an entire month of action and when he returned he struggled to again find his swing. Even though his bat heated up in September, the Red Sox failed to make the playoffs and you could sense the front office had decided that they were not going to bend over backwards to re-sign Martinez. Victor and his agent must have got a similar message because he agreed to a new four-yer deal with Detroit, where he flourished in 2011.